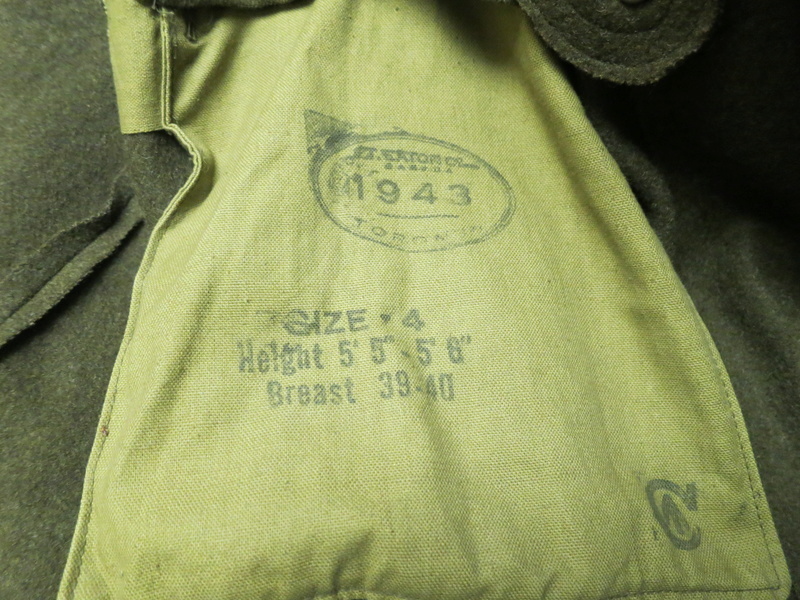 These three coats came from a fellow I knew who was originally PPCLI in 1937, then in the Provost Corps in the war. 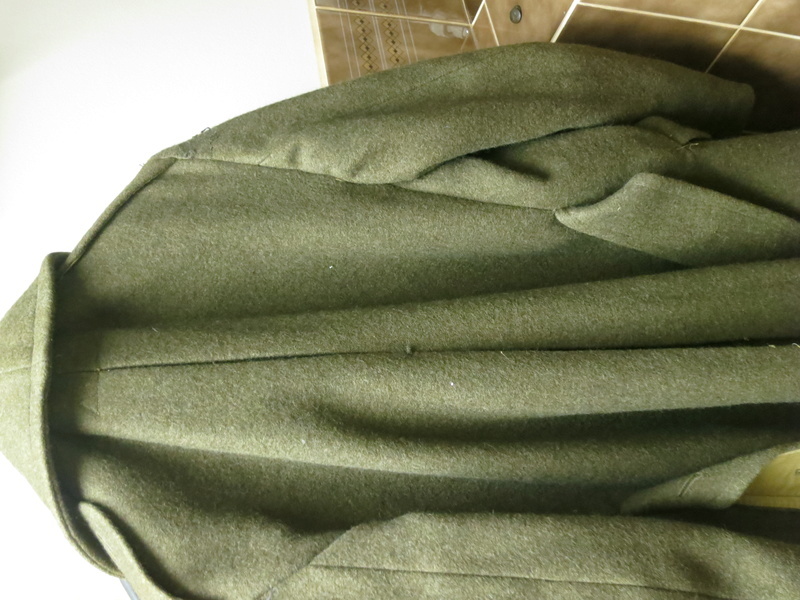 I asked one of the guys in my vehicles group what he thought these coats were, and, obviously to me as well, one is just a plain army overcoat. Of what design or classification I don't know. For some reason it has all the buttons except for those on the vent (about 21 inches long) in the back and on the neck protector(?) and all the insignia removed. 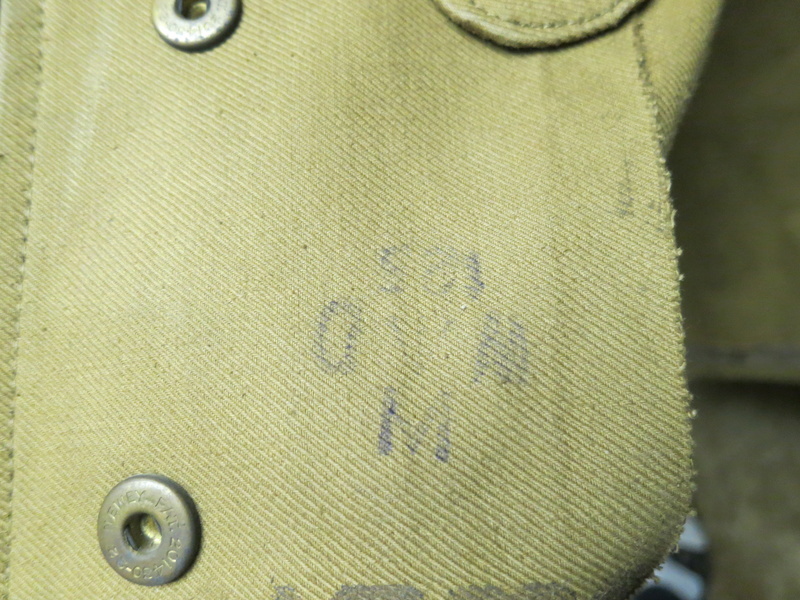 This is the neck protector and the manufacturer's stamp or is it the supplier T.E. 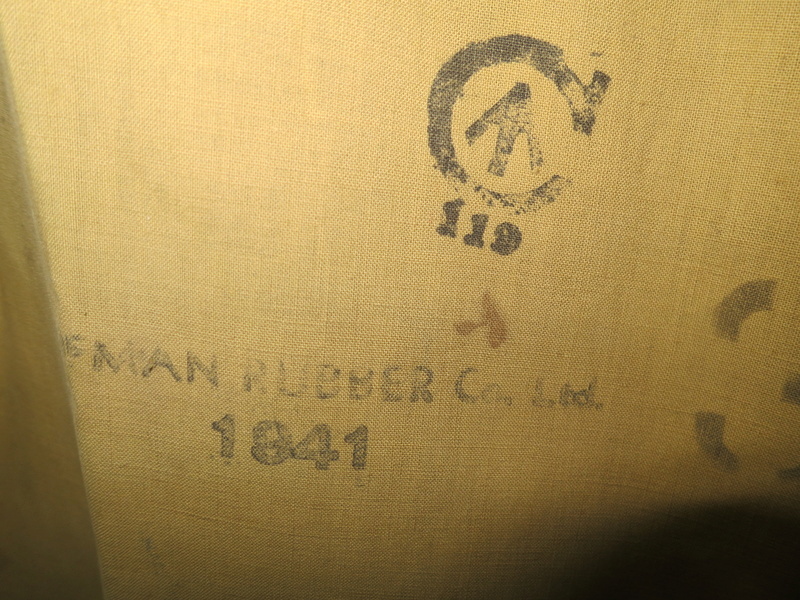 Eaton Co. stamp? 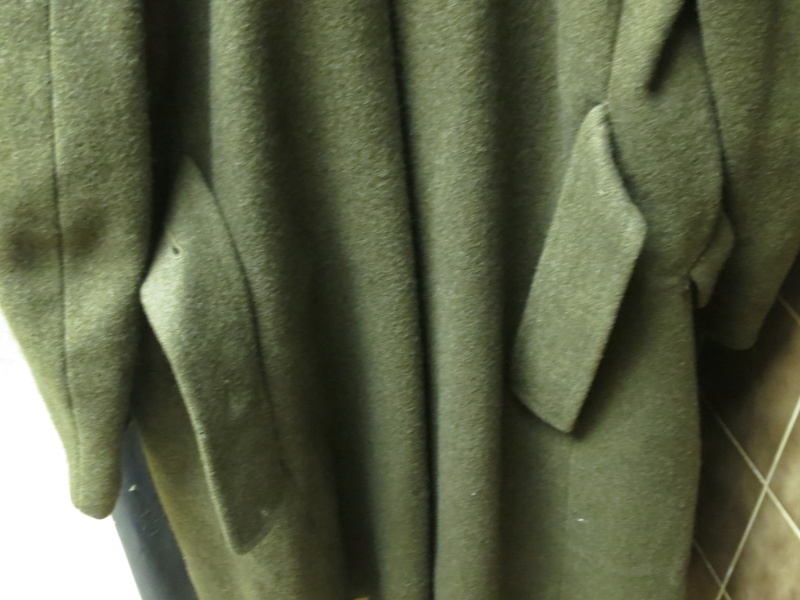 My friend indicated that the next two coats are what he called "Don R" coats. As DON was "D" in the British WWII phonetic alphabet, the dispatch riders were called Don R's. 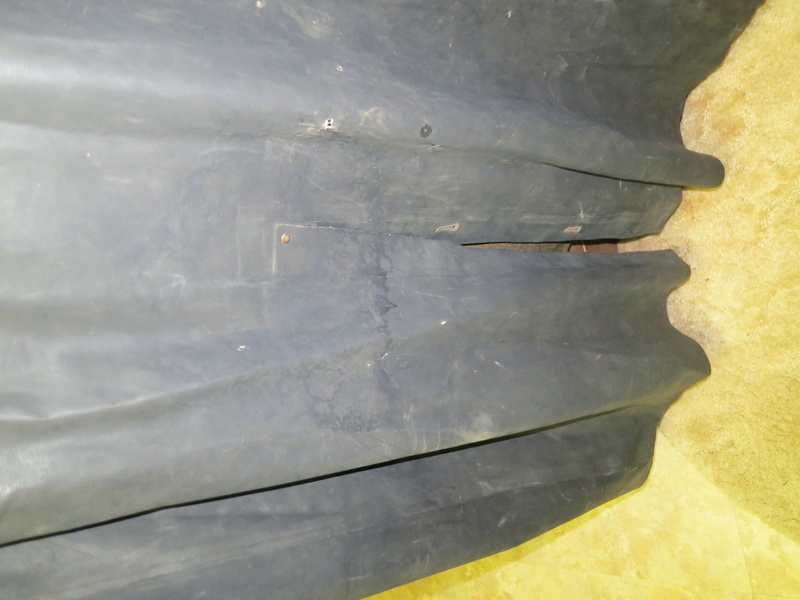 The rubber coat is more like a protective coat. There are no pockets. 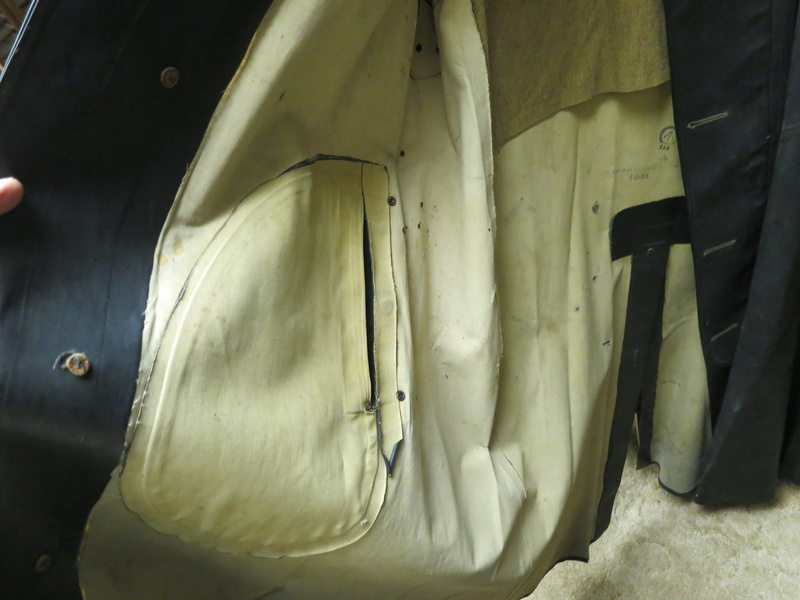 What look like pockets are large slits in the rubber so the rider's hands can reach through and access his uniform. 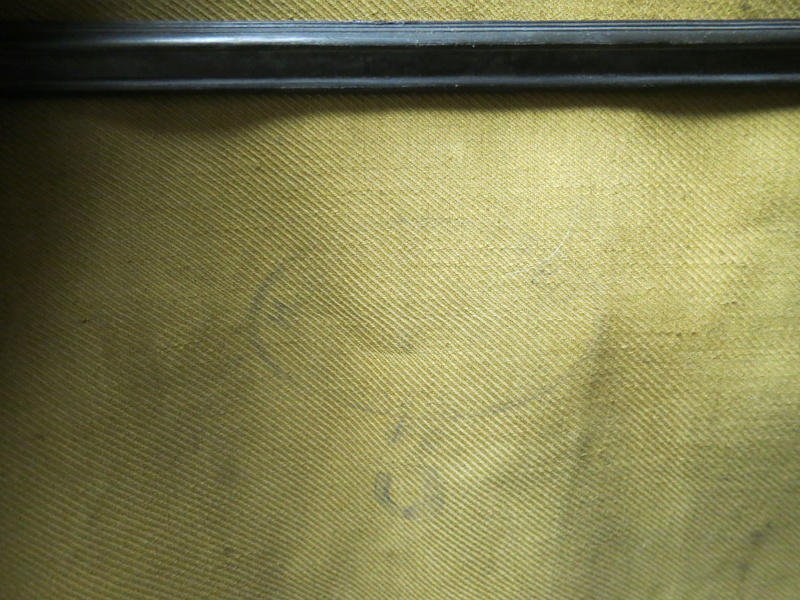 The vent in the back of the coat is 24 inches long. This coat is obviously Canadian, but that is all I know. 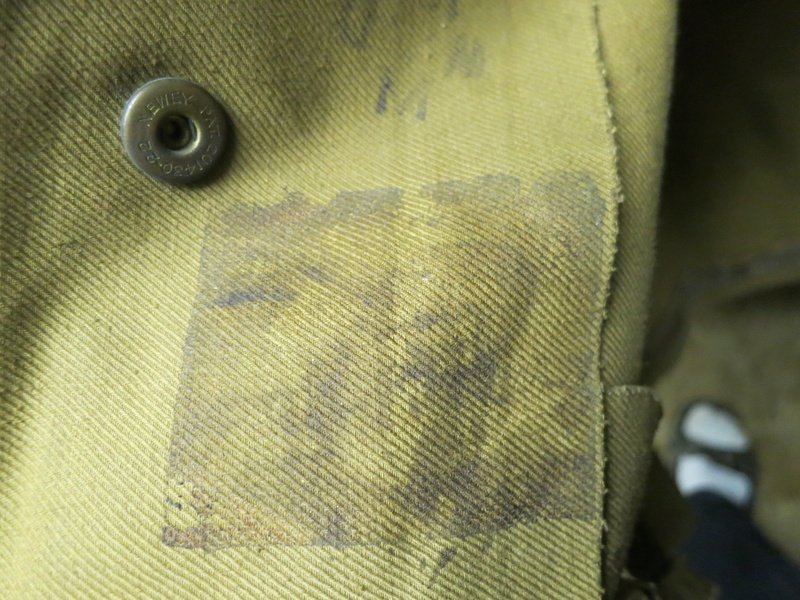 The last coat has a British War Department stamp. 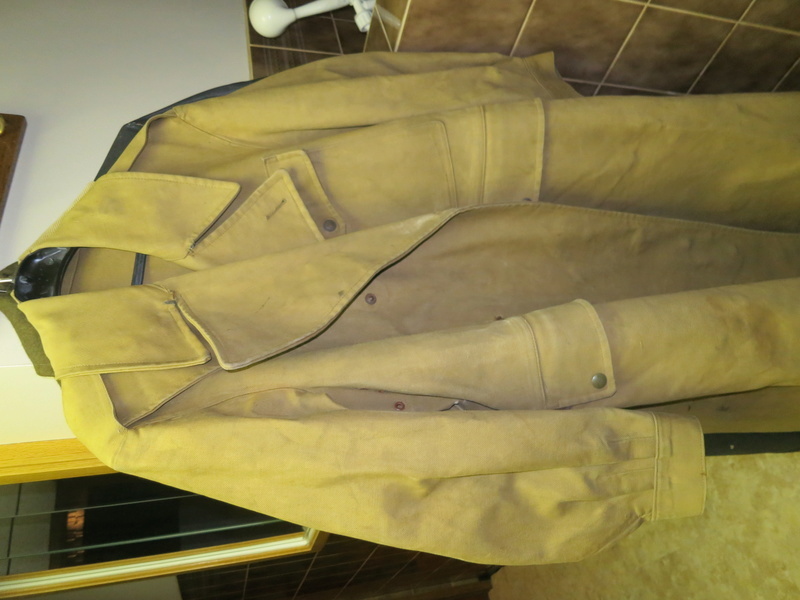 The last coat is a proper dispatch rider (motorcyclist) coat and a very nice item. It has snaps so that the lower skirt can be tucked between the legs to create an effective weather seal when seated on the bike. Thanks for the confirmation. My vehicles pal sent me a message yesterday. 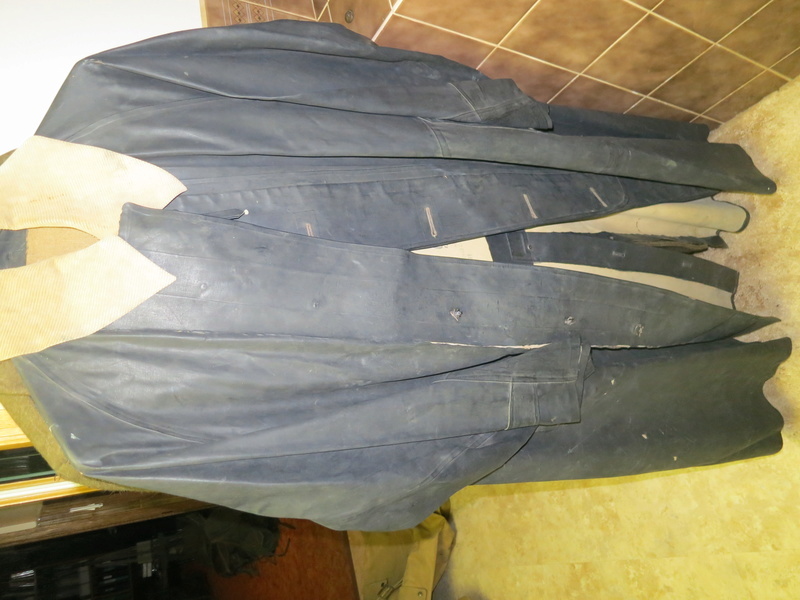 The rubber coat was a coat that was worn over the Don R's tunic and pants when he was riding his motorbike in bad weather. 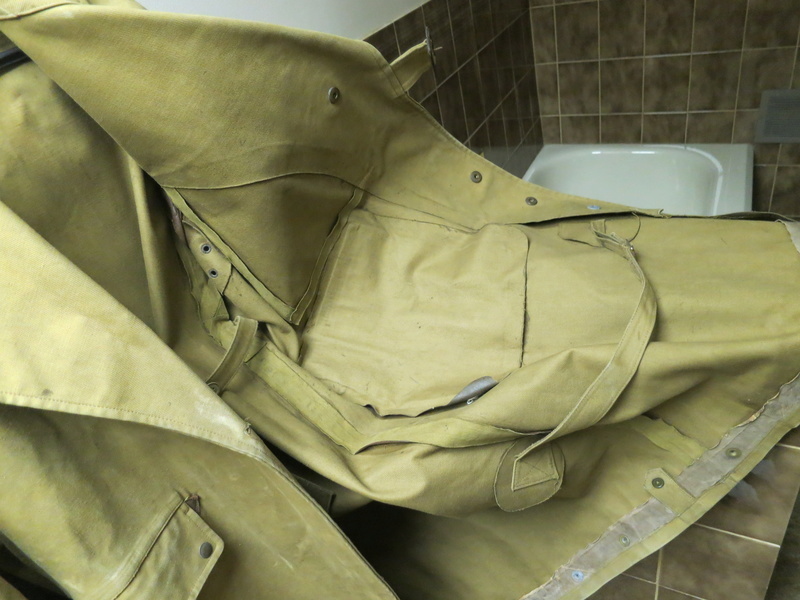 The second coat is an example of an original WWII British Army dispatch rider's coat in the 1942 pattern. 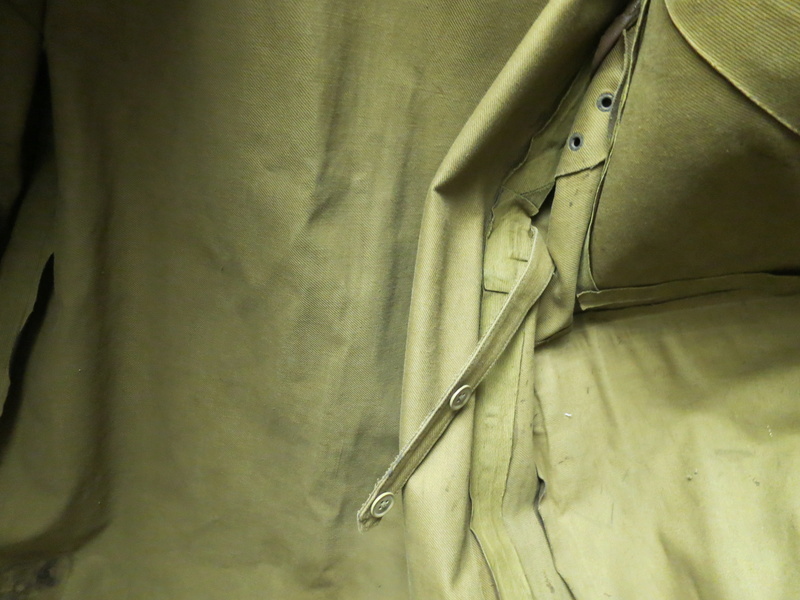 It is a very heavy "rubber-proofed", as the British called it, cotton-canvas coat that is made in such a way that the tail could be brought up through the crotch and buttoned over the wearer's stomach and around each leg by the use of heavy metal snaps. 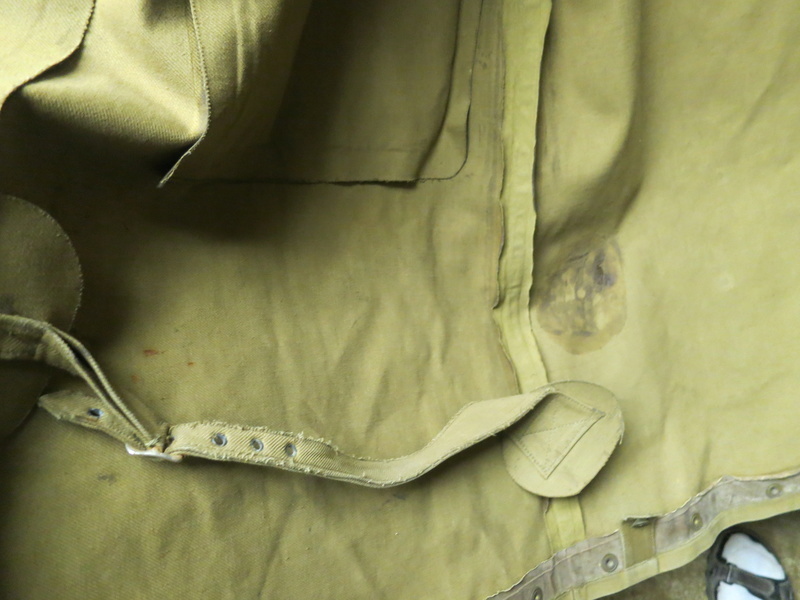 This "rubber-proofing" gives the fabric a slightly mottled look. 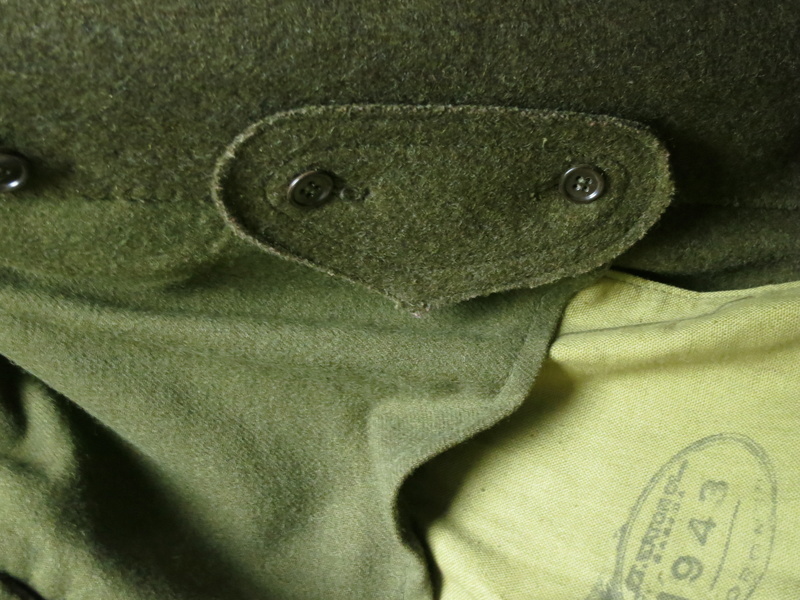 There is an attached belt fastened at two points in the rear with double metal buckles for adjustment. 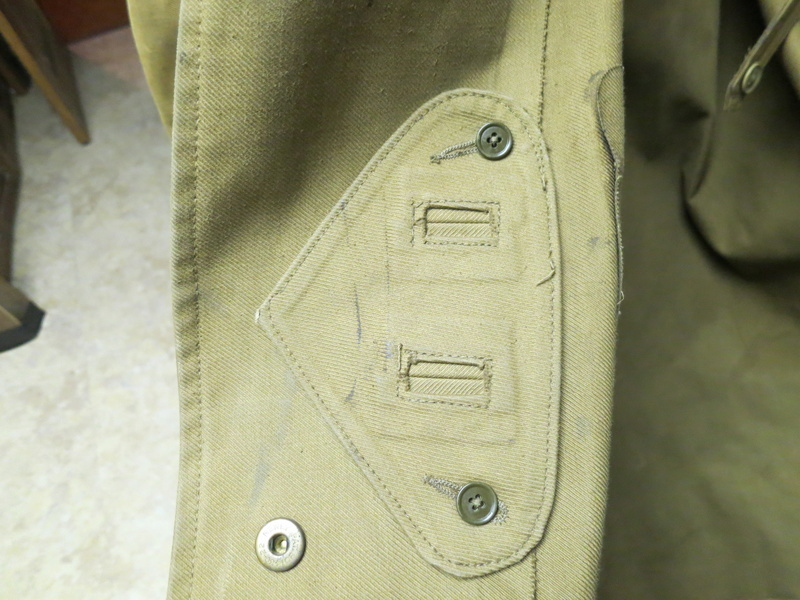 Five metal grommets are under each arm for ventilation. 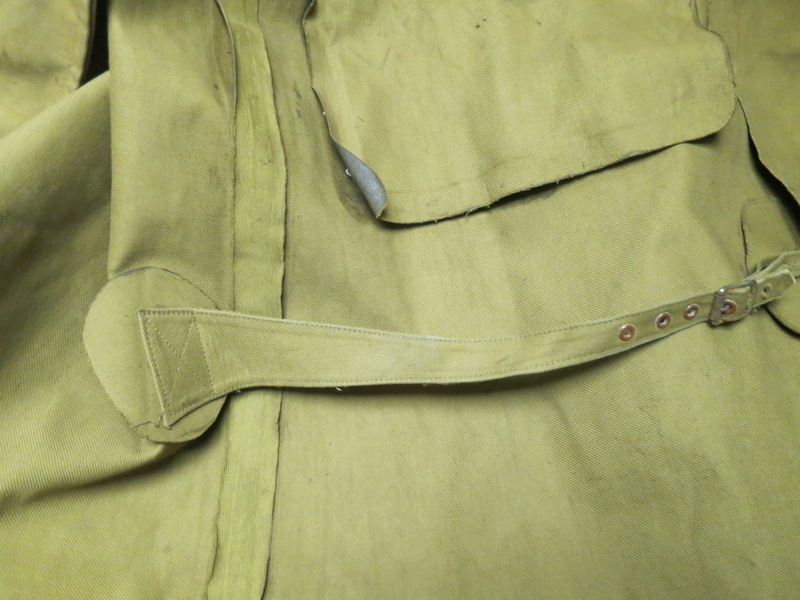 There are large flapped pockets on each side of the coat at the hips and one large flapped pocket on the left chest area. 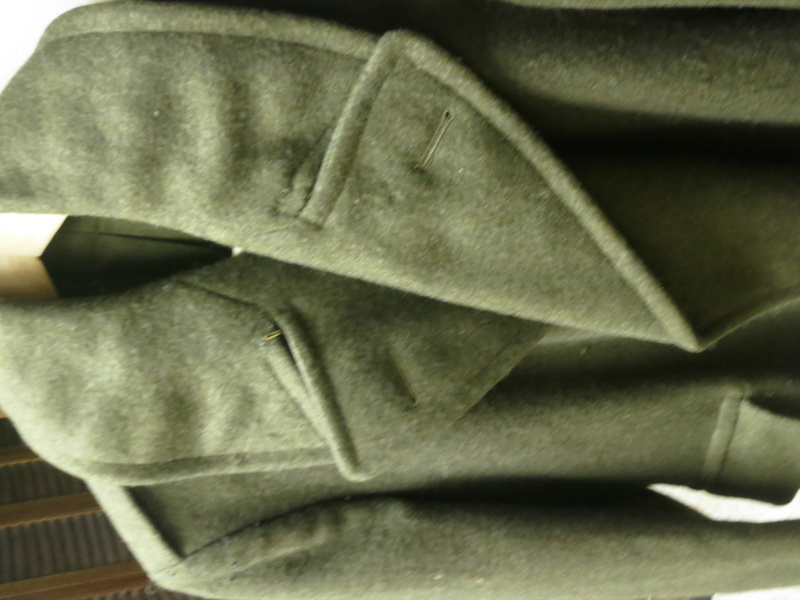 The coat has a bib front that closes with metal snaps and a large fall collar.